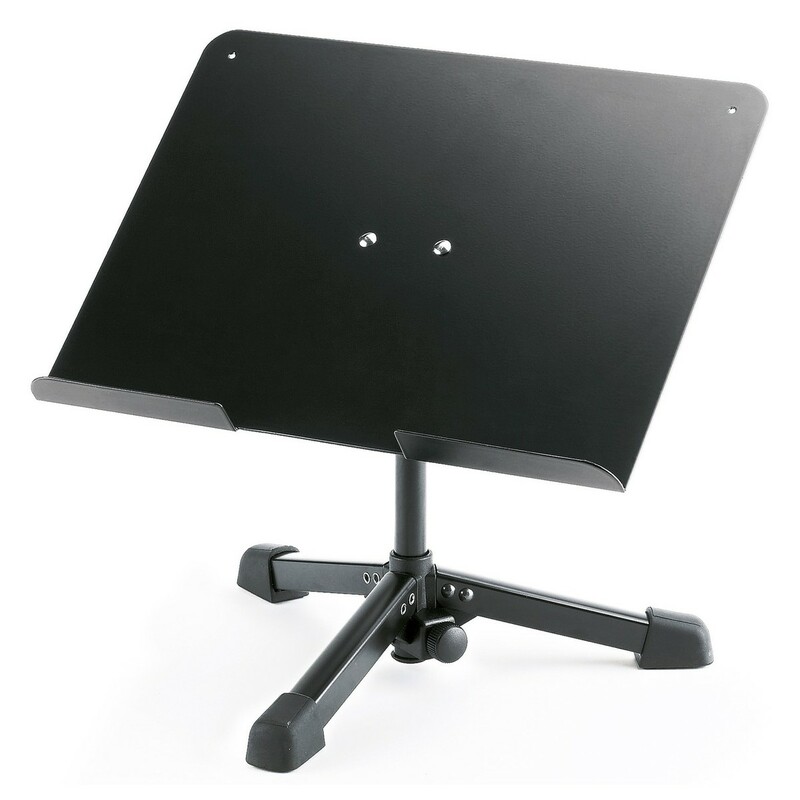 The K&M Universal Table-Top Stand features a steel frame and aluminium desk and is finished in black. Stabilised using 3 u-profile legs, the stand is reliable and can hold up to 4kg of weight. K&M has added a detachable desk with an easy-to-use prismatic v-block connector. The table top comes equipped with 4 rubber knobs.